Looking for a relaxing way to spend a Sunday afternoon? 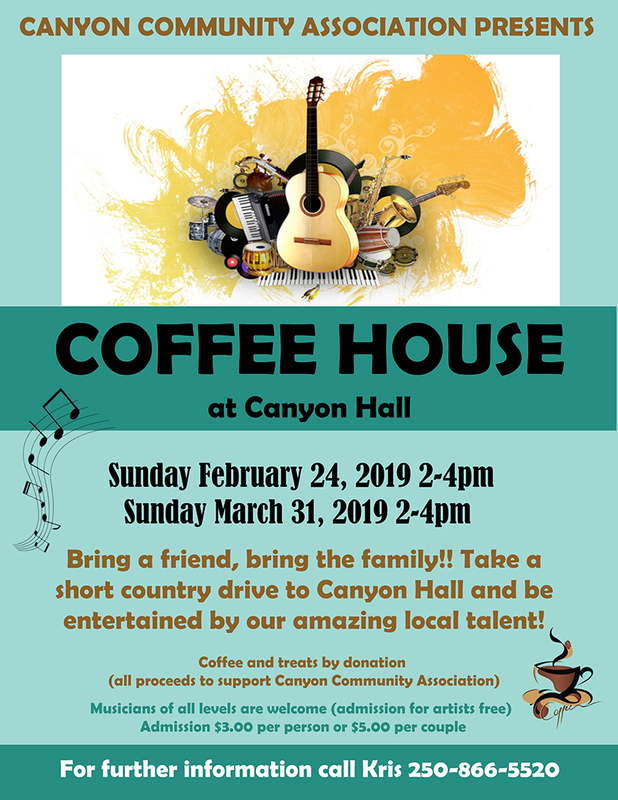 Bring the family, bring a friend (everyone is welcome) to listen to the amazing talent of local musicians, Canyon Community Association is proud to be once again hosting COFFEE HOUSE at Canyon Hall. Last Sunday of every month from 2-4pm. Admission is $3/person $5/couple and children are free. The kitchen is open with locally prepared treats (most by donation). Whether you are a seasoned musician or a budding musician we would like to hear from you.